Bearing the name “Bear Hammock” and rows of beautiful orange trees situated in the sunny Flatwoods area, Paul Meador’s groves are a pretty idyllic place. And despite the challenges he faces each year, Paul remains an optimistic believer in the many benefits of the Florida Oranges he grows. A 4th generation member of the Florida Citrus family himself, Paul is conscientious about how the methods he employs in his groves will impact his children, his grandchildren, and generations down the road. Like many in the industry, he keeps a keen focus on how he can keep his groves running smoothly for generations to come. 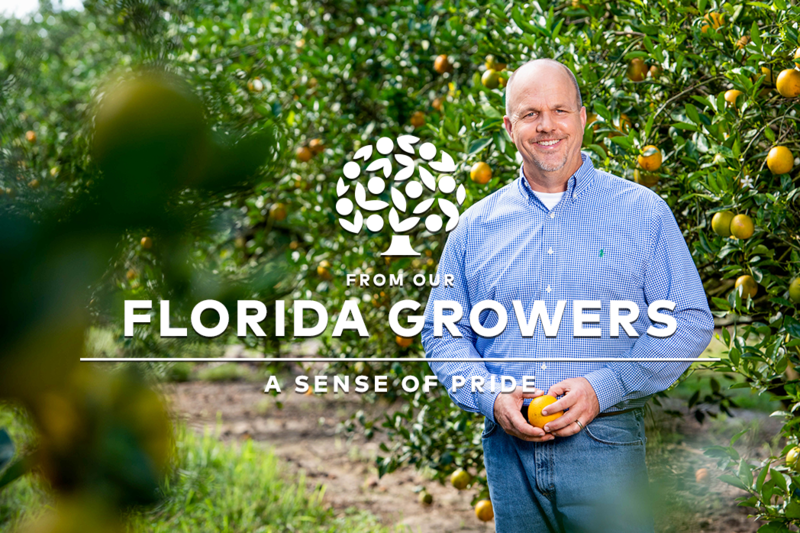 Add it all up, and Paul is an excellent representative of the pride that so many citrus growers in Florida feel about the work they do and the fruit they grow. Sure, it takes a lot of effort, hard work, and a little bit of good luck, but the feeling of providing juicy, delicious Florida Oranges to families across the country is one that can’t be beat.